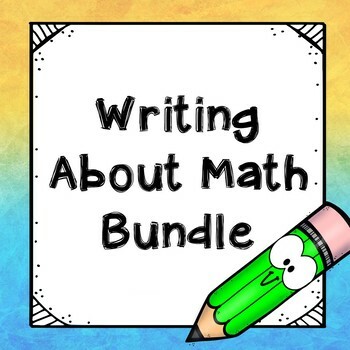 This bundle contains the resources Writing About Math: Fractions and Writing About Math: Operations and Algebraic Thinking. If your students are struggling to explain their thinking when they solve math problems this no prep, ready to go math resource is perfect for you. It contains a variety of higher level math problems like those students are like to see on standardized tests. Students are encouraged to use words and pictures to explain their thinking. Among the types of problems they're likely to encounter are problems asking students to explain the error, write a word problem of their own, and others. The problems are engaging and include real life situations.